The Bachelor at the Luxury Hotelschool brings you to the heart of luxury in the capital, in the most beautiful places where you learn to evolve naturally. 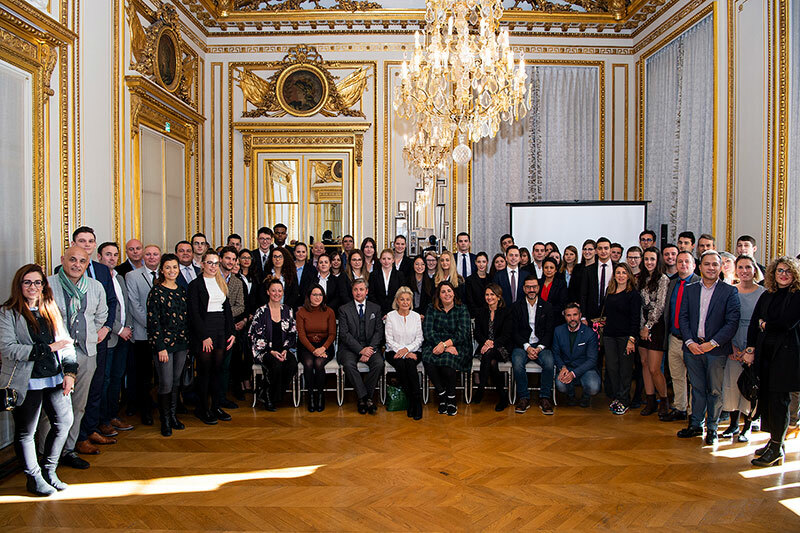 Here at Hôtel de Crillon, students meet with Princess Beatrice d'Orléans for an exceptional conference on the definition of luxury. The Bachelor includes an educational part in savoir-être, savoir-vivre, the codes of luxury... Many seminars prepare students for their life in luxury hotels: protocol, etiquette, propriety, how to dress, to stand, and personal grooming. The UK Bachelor includes two field trips: one week in Marseille and one week in Barcelona. 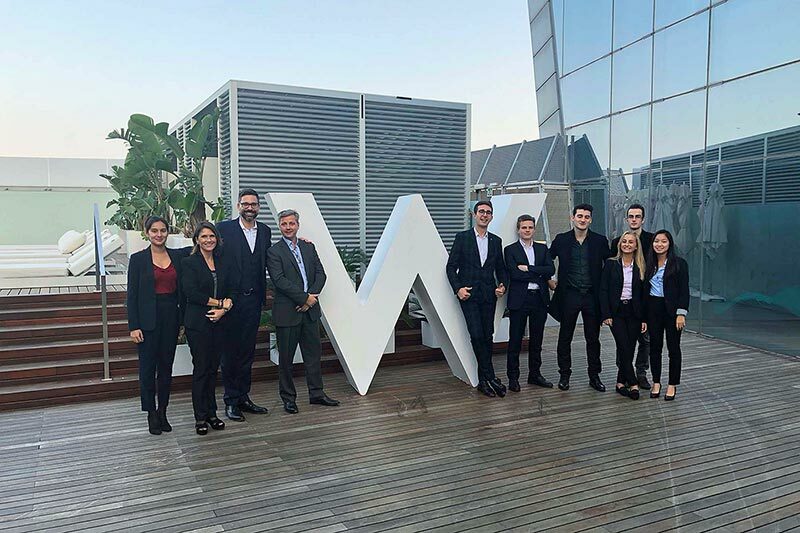 At W hotel, the Bachelor students met the general manager and the director of operations to discuss marketing. 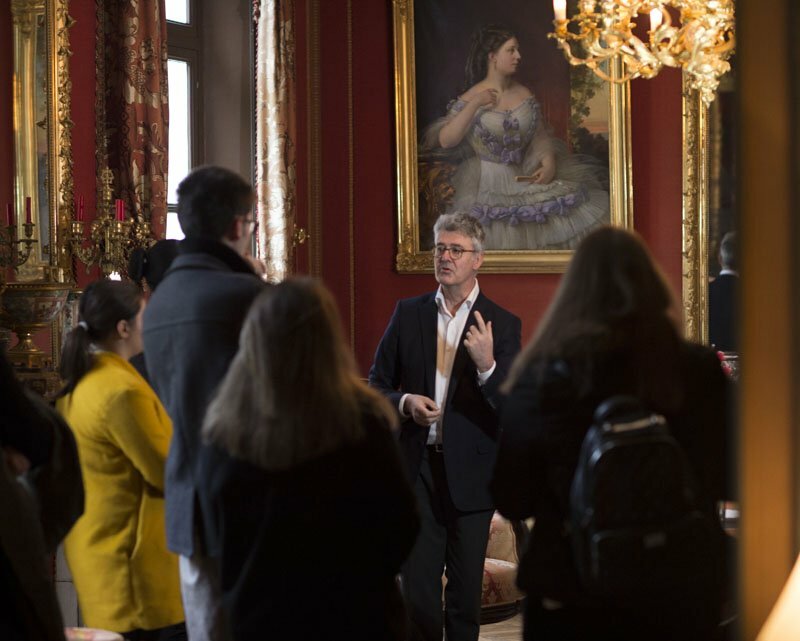 Part of the lectures is organised in Parisian grand hotels, to invite their managers to participate in the lectures, but also to familiarise yourselves with life in upper-scale hotels. 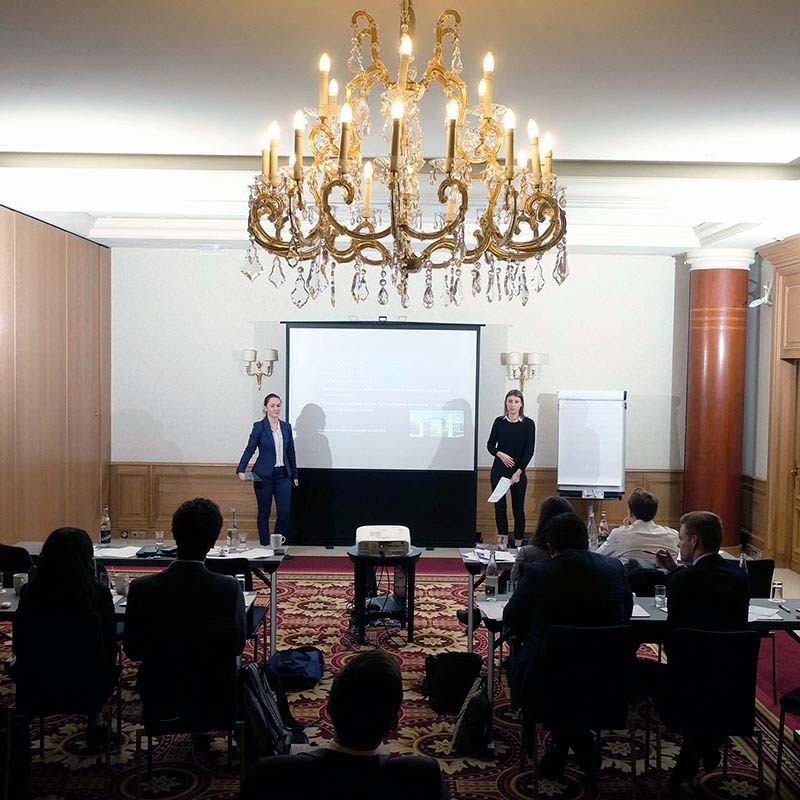 Here, management & leadership presentations by first year students took place at Marriott Champs-Elysées. 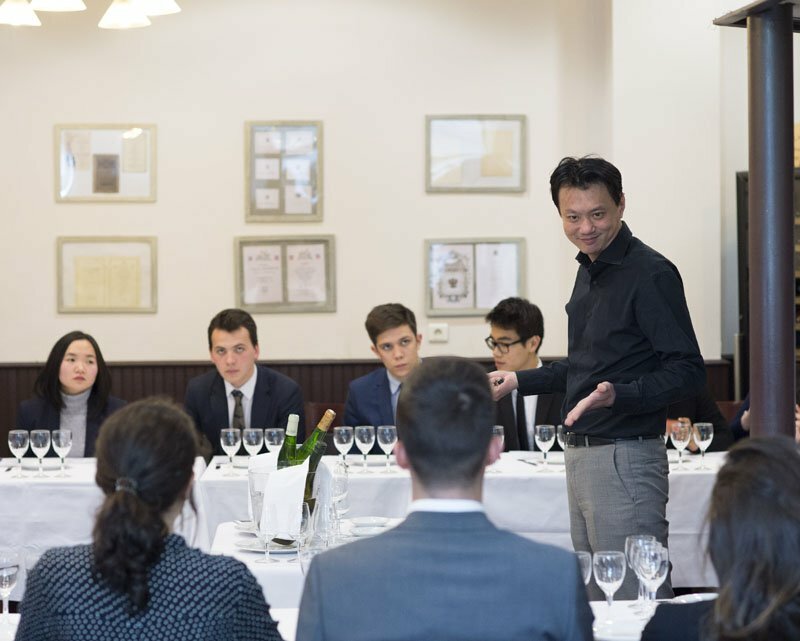 A class at the Luxury Hotelschool is 20 students maximum. It is rare and required for a quality education. Many activities are even organised in groups of 5 to 10 students like this day at the Marriott. This philosophy has a direct impact on school fees. Hoteliers participate in your education. 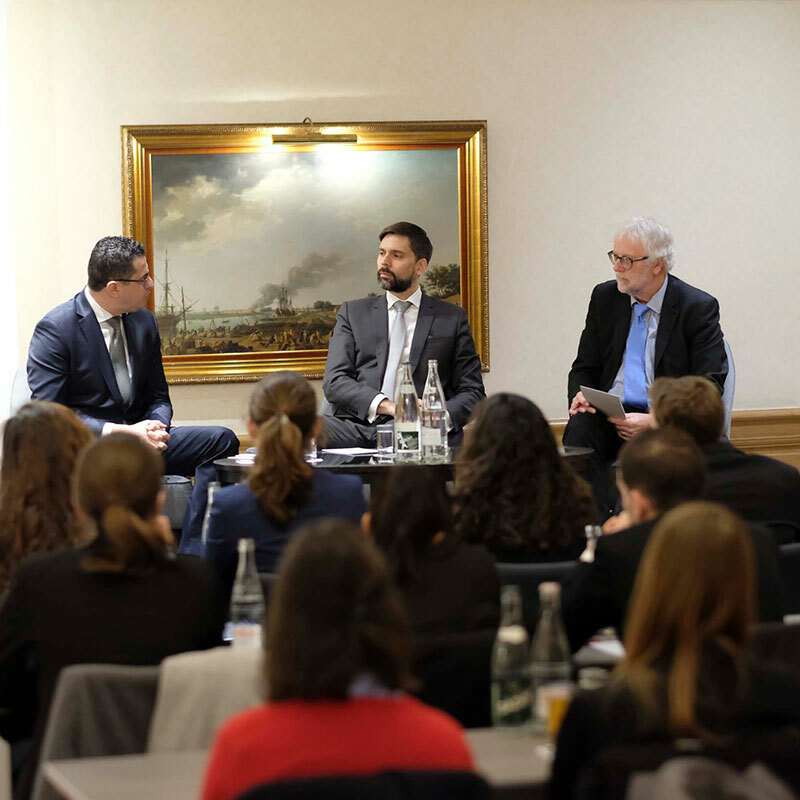 Here, a Master class with Karim Gharbi, Director of Operations of Marriott Champs-Elysées about crisis management. An excellent presentation and exciting debate between the three protagonists and the students. Fees: 14,800 Euros per year for UK and EU students and 19,800 Euros per year for international students (including lunch on days with lectures). Admission requirements: Level-5 diploma or second year of a Bachelor's degree in a related subject such as management, hospitaity or tourism, finance, languages, etc. 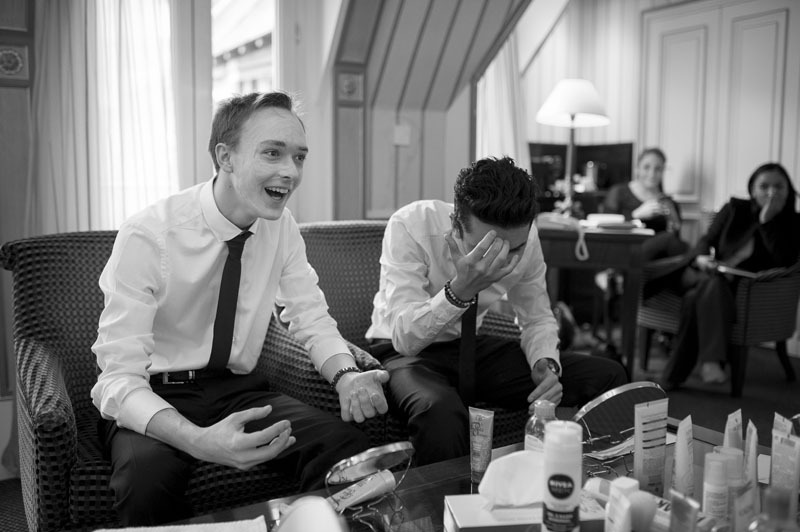 The French Bachelor is a management programme. 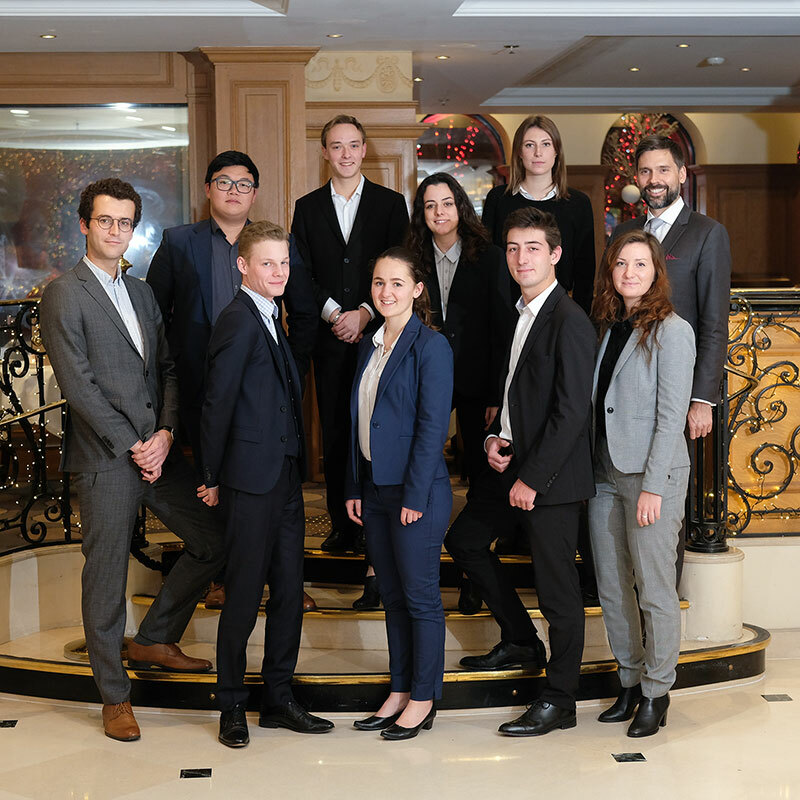 Some of the lectures are in English as the level of English is the first criterion for the recruitment of young graduates in the luxury hotel industry. Studied in 3 years, the French Bachelor includes three 5-month placements. The Top-up Bachelor is a 1-year management programme with a focus on operations management. Taught in English, it includes a training in operations, luxury attitude and management, plus a 5-month placement.